Check out these photos I’ve posted in the Canon PowerShot ELPH 310 HS (also known as Canon IXUS 230 HS) Photo Gallery. Dive into our Canon ELPH 310 HS/IXUS 230 HS full review for more about the camera. I’ve just posted the Nikon Coolpix S8200 Photo Gallery which contains photos taken using the camera. Read our Nikon Coolpix S8200 full review for more details about this camera! Just posted: The Sony Cyber-shot WX9 photo gallery with the usual bunch of sample photos. Read our in-depth Sony Cyber-shot WX9 review to learn more about the camera! I’ve just posted the Canon PowerShot SX40 Photo Gallery which contains photos from the camera. Read our Canon PowerShot SX40 HS in-depth review to read about the camera! I’ve just posted the Nikon Coolpix S9100 Photo Gallery which contains photos taken using the camera. Read our Nikon Coolpix S9100 full review for more details about this camera! Check out the bunch of photos I’ve posted in the Canon PowerShot ELPH 510 HS (also known as Canon IXUS 1100 HS) Photo Gallery. 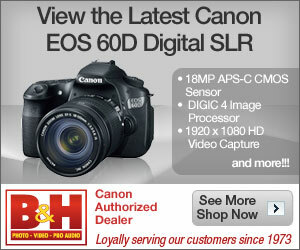 And be sure to read our Canon ELPH 510 HS/IXUS 1100 HS full review for an in-depth look at this camera. I’ve just posted the Olympus VR320 Photo Gallery which contains photos taken using the camera. Read our Olympus VR320 full review for more details about this camera!